I hate cable clutter, but what does one do with stray cables that can’t be hidden behind a desk or concealed in wire loom? Thankfully electricians, climbers, and roadies have been dealing with cable clutter for years, and they’ve utilized a nice technique that we can take advantage of! 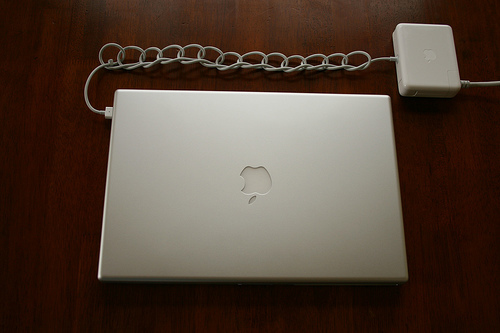 The chain sinnet (aka chain braid, daisy chain, or monkey braid) is a cable shortening and storing method that can be used to make stray cables a little more pleasing to the eye. You creating a chain sinnet by making a loop at the base of your cord, then pull the remaining cord into each new loop. Be sure to keep your loops loose to avoid damaging the cord. The sinnet process can be confusing, so here’s an uber cheesy video that shows you how to create one; just note that the starting loop is different in the video. I wouldn’t recommended using the chain sinnet technique on all the cords in your home and office, but it’s something to consider when tidying up extension, speaker, power, and headphone cords that lie in plain view. Anyway, leave a comment if you’re aware of any other methods to deal with cords that can’t be hidden! That is cool. It beats using using the twist ties. 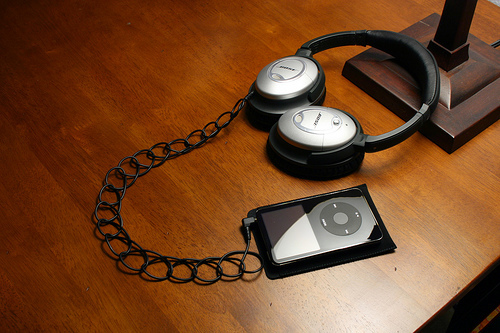 Do this with my cell phone cords. It beats having a long cord hanging all over the place, or having to bundle up loose cord if you use twist ties. It’s handy to keep an unbent paperclip looped around the base of your wires. Then simply loop any extra wire like a coil and drag the paper clip around it. It’s subtle, and not only makes it easier to look at, it also saves surface space. Alternative items could be folder fasteners or any other flexible materials you find lying around. My new year’s resolution was to declutter my office. One goal is checked off my list. Another thing that I’m finding are companies that are saving money and energy by using phone conference calling , web and video conferencing services . Check out the blog at: http://www.24conference.com/blog/. Great article. I’ve always done this with rope, but never with cables for fear that if I leave them like that for too long, they’ll kink up into permanent little loops. I know the little cords (like earphones and some chargers) won’t kink, but the thicker ones (like that Mac charger) do have that tendency. Have you had this problem at all? Should have added a step 3 there. Took me a little trial an error to figure out how to keep tying it. If this is any help you take the extra cord (would be the cord bottom right in “2”) move it to upper right and you’ll see a loop form similar to first one. 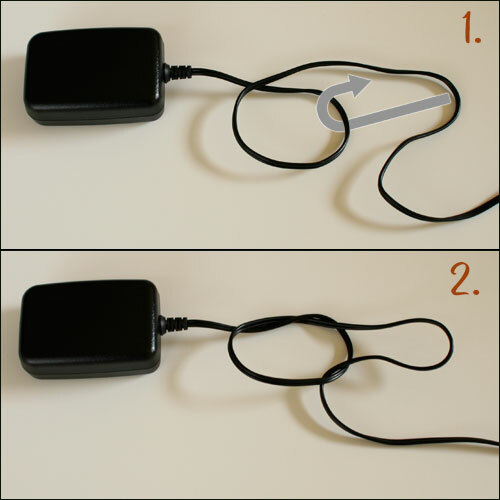 To lock it, take the extra cord and make a similar action to “1” but pull the cord over the braided loop instead of underneath like you did in “1”. Repeat. At the end pull the bit of cord through the final loop to lock the braid. I used to do that about 10 years ago with the extension cord. I haven’t done it in so long that I forgot how to start it. Nice to see a video on it. I’m laughing–I use this method all the time. Guys, all you are doing is crocheting your cords 🙂 See, you *can* do knit and crochet! Can you detail the step 3 for doing this on cell phone cord ? 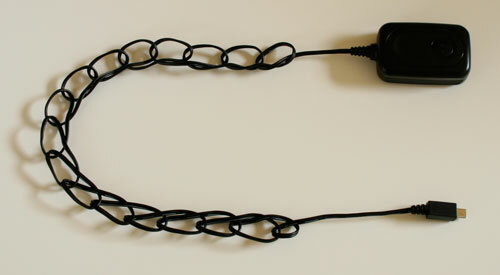 Maybe this will help tame the cord gremlin that is always tangling my headphone wires. All my desk cables are now braided. Thanks for this tip! I first learned this technique when I was skydiving. It was a way of gathering up your lines and keeping them relatively organized if you happened to land a long way from the drop zone and had a hike in front of you. @mjh – That’s pretty interesting; I’m pretty sure rock climbers must use these techniques once in a while as well. @JB, @Jeenu, @Balakumar Mathu – You’re very welcome and thank you for the positive comment! Thanks for de-mystifying this tidy solution to cord clutter! I thought my electrician friends were being possessive not to teach me how to do this! And I love the parallel to crocheting! Makes perfect sense now! Thanks again! Great tip. I have never heard or seen that method to declutter chords or wires, but that will do the trick nicely. Love the method. Will put it to use right away! @Mim, @Declutter – Your welcome and glad to hear that you enjoyed the tip! I also did a 3 way plat with the single cable, which very well. Loop the cable to the desired length, creating 3 cords (like looping the cable into thirds); then plat like you would a pony tail. Great Idea. After 30 years, an easier way for the daily cord. Saw the link on Electricianstalk.